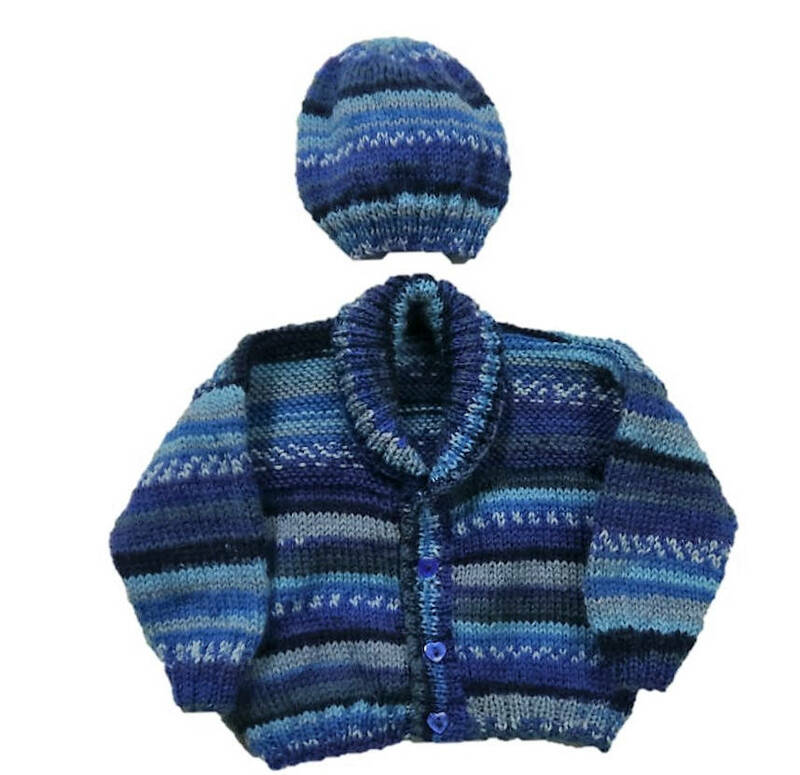 Really easy jacket and hat to knit with self-striping yarn that knits in jacquard stripes all on its own! 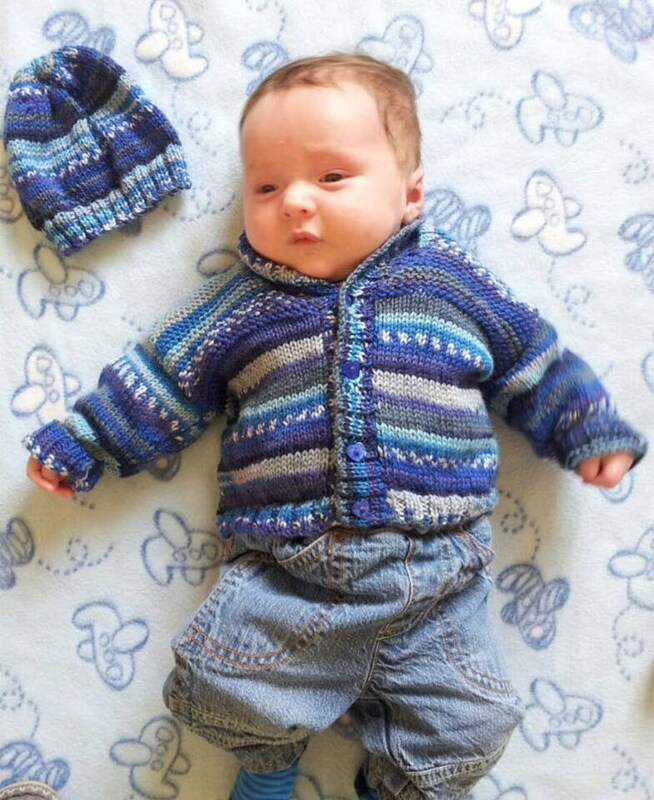 The outfit is knitted in Adriafil Knitcol which is a superwash merino wool and comes in 22 different colourways - you will be spoilt for choice. Although any double knitting yarn can be used so long as it matches the tension gauge. 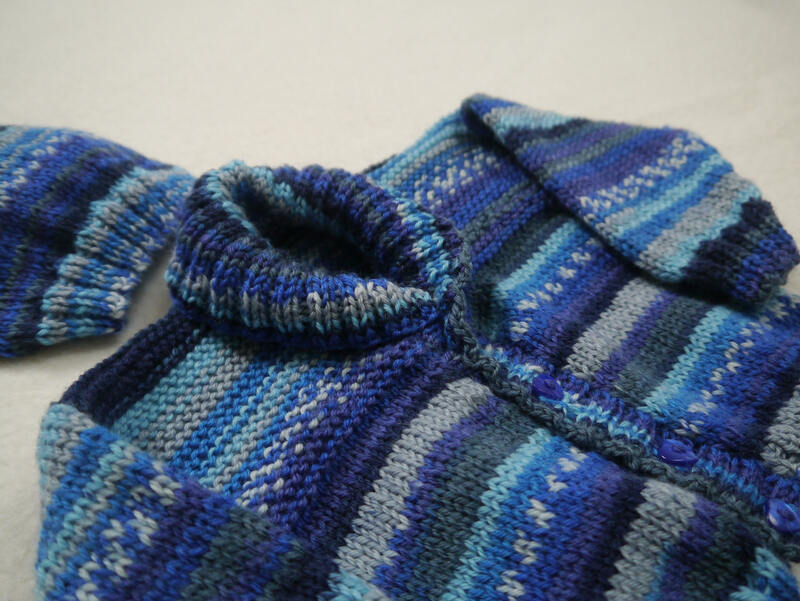 The jacket features a shawl collar which is warm and cosy. 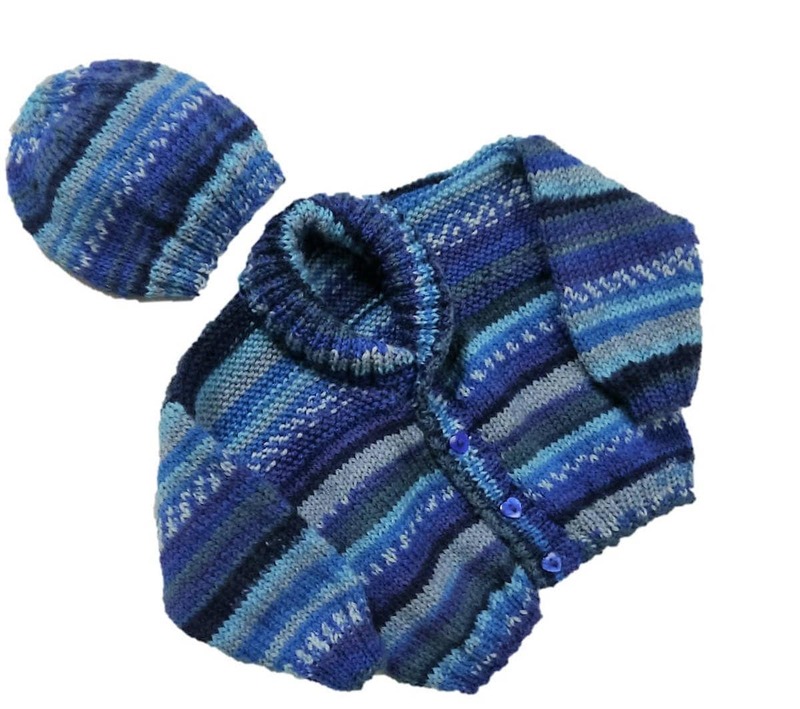 An easy and quick design to knit in double knitting yarn. 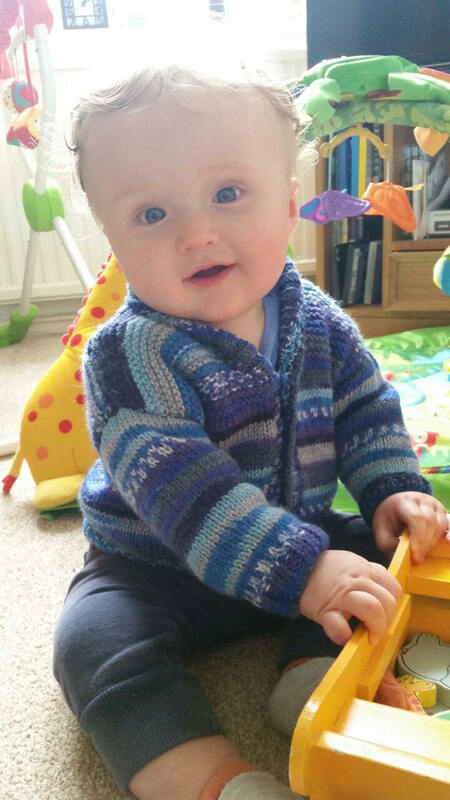 The pattern includes colour coded sizes for ages from 0 to 5 years and a large full-page coloured intarsia chart.